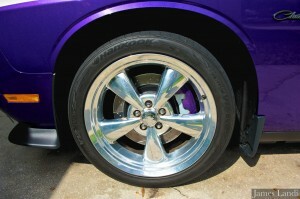 I used an adapter from a company called Seriousemf, 2010 SRT front rotors and 2007 Corvette Pads (because the rotors are thicker you have to use a thinner pad. 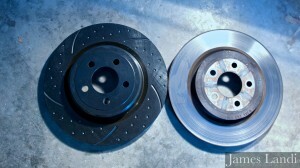 Rotors where purchased from a company called Brake Performance. 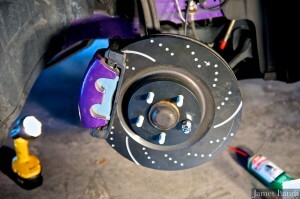 They offer lifetime warranty, free standard brake pads and free shipping. 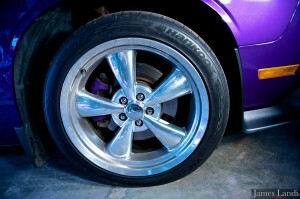 However they don’t see to sell the slotted and dimpled rotors anymore, just slotted.